EveryHome.com Updating Every Fifteen Minutes! 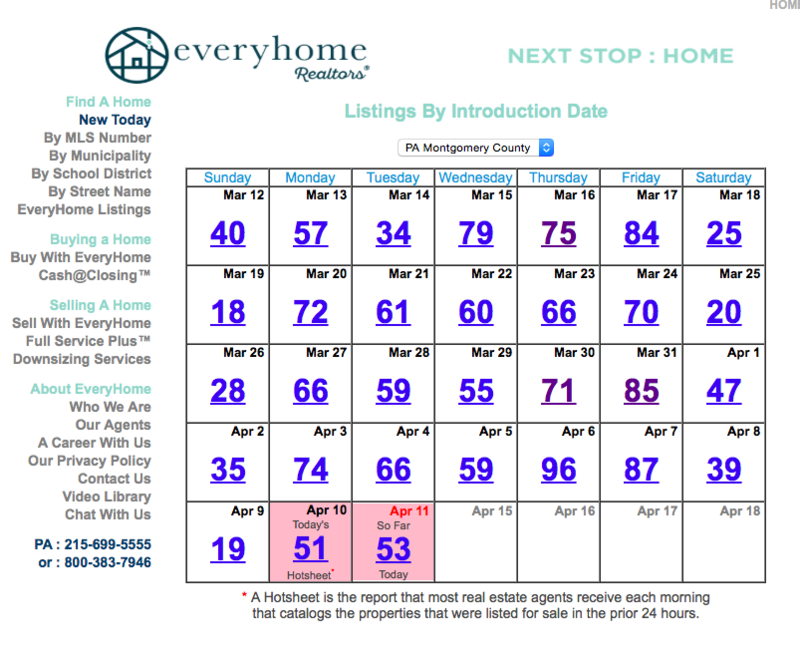 The EveryHome team is so excited to announce that the website will automatically be updating every fifteen minutes! With a direct feed from the region’s MLS (Multiple Listing Service), EveryHome strives to bring you the most accurate database of listings, and ensure that our clients are among the first to see brand new homes for sale. And unlike many other real estate websites, EveryHome removes the homes from the site as soon as they sell! You’ll also notice a few other changes on EveryHome.com, including a brand new logo and fresh background. Be sure to “clear the cache” on your computer or phone in order to ensure that you’re viewing the latest version of our website! As always, we love to hear your feedback! If you have any questions or concerns regarding the new website, please give us a call at (215) 699-5555 or email us at info@everyhome.com. We look forward to hearing from you!